Playing in the interweb lately I have noticed a few bloggers attempting to recreate Adriano Zumbo's now infamous Masterchef Chocolate Mousse Cake, and doing damn fine jobs of it. 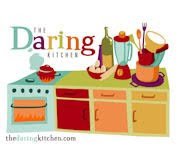 After a raging success with my latest Daring Baker's Challenge (to be revealed later this week) I was feeling buoyed with confidence and decided to give it a go. According to my Masterchef Cookbook (and the other bloggers who've attempted the cake!) the recipe is challenging, Zumbo scored it 10/10 on the hard to make scale. It's true. It felt like I spent all day on Saturday making the layers, although it was probably only about four hours. My feet hurt. Chocolate was everywhere. I had caramel in my hair. So tired. The pate sable, the mousse and the jaconde were relatively easy to make however the caramel apple layer and salted caramel not so. The caramel apple layer didn't end up all creamy and oozy like in Zumbo's dessert but it did taste good, like a runny tarte tatin. The salted caramel layer was a total disaster, it didn't really turn a rich caramel colour and even after twenty four hours in the freezer it wouldn't firm up and I ended up throwing it in the bin. The cake was also pretty enormous! The feeling of satisfaction upon completion of the cake was enormous, but I can't say I'm prepared to make it again. I value my sanity. To feel my pain, or to feel proud of me, have a look at the recipe below. 2. Add butter, sugar, flour, cinnamon and vanilla to a food processor and process to fine crumb. Add egg, mix till it comes together. Tip mixture onto bench and knead lightly. Roll out on a sheet of baking paper until 7 – 8 mm thick. Place ring mould over pastry and cut around outside edge, remove excess outer pastry. 3. Transfer pastry and ring mould on baking paper to an oven tray and bake until lightly golden. Dry caramelise the sugar, emulsify the caramel with the butter. Add the apples, cook until the apples are translucent and caramel in colour. Cool mixture. 1. Peel & dice the apples. Add butter, orange zest, & ginger to a pan and cook until aromatic. Add sugar & apples. Cook over high heat for 1 minute, add calvados & flambé. Cool mixture. 2. Mix the 2 apple mixtures together. Place in a silicon mould. Place in blast freezer until set. 1. Heat cream. Place sugar, glucose, water in a saucepan, cook to caramel colour. Deglaze sugar with cream. Add gelatine. Cool to 50°c. Add butter and blitz. 2. Place in a silicon mould and place in blast freezer. 1. Melt butter. Whip eggs, icing sugar, and almond meal together. Whip egg whites and sugar together to form stiff peaks. Fold egg whites into egg almond mixture alternating with butter & flour. 3. Place cigarette paste on tray, swirl pattern with fingers. Place in freezer. Using a pastry scrape or palette knife spread cigarette paste with a thin layer about 3mm thick of jaconde. Bake until lightly golden. Cool. 1. Heat blackberry pulp in a saucepan, add sugar and inverted sugar, bring to the boil. Add extra sugar and pectin. 2. Pour mixture over chocolate in a bowl, stir until smooth. Cool to 40°c, add butter and blend with a stick blender. 1. Place tea, sugar & eggs in a bowl over simmering water (bain marie) and whip to form a sabayon. Melt chocolate, mix in cream. Fold in blackberry ganache, gently fold in sabayon. 1. Temper chocolate see method below. Cool to 40°c. Add cocoa. 2. Place in spray gun. Melt the chocolate in a bowl. Add more chocolate stirring until melted, until the temperature of the chocolate reaches approximately 32°c (dark chocolate), approximately 30°c for milk or white chocolate. The chocolate should be tempered. To test, use a small square of silicon paper & dip in chocolate, place on bench (cool place), the chocolate should set at room temperature. To temper the cocoa butter melt in pot on stove, then pour onto a clean work surface to cool rapidly (around 32°c), add colour as soon as you pour the cocoa butter on table and work with the palette knife. When cool, brush on clear plastic provided working left to right, and keep brushing until cool in same direction to obtain brush strokes. Cover in tempered white chocolate, and cut and shape to desired finish. Place on top of cake as desired. OMG I am sooo proud of your effort! Although I feel it was a large oversite on your behalf that you didn't include a snap freezer draw on your gift registry.. some of the other blogs online say that its necessary for the salty caramel. Did it end up a b'day cake of simple an "Emma Baked" cake??? bloody hell em well done!!! Wow! I've GOT TO try to make this cake! Nothing is too big of a challenge, right? Thanks for the inspiration and the recipe!